In the email you will receive, click “REGISTER.” If the registration button does not work, please use the hyperlink above the registration button. 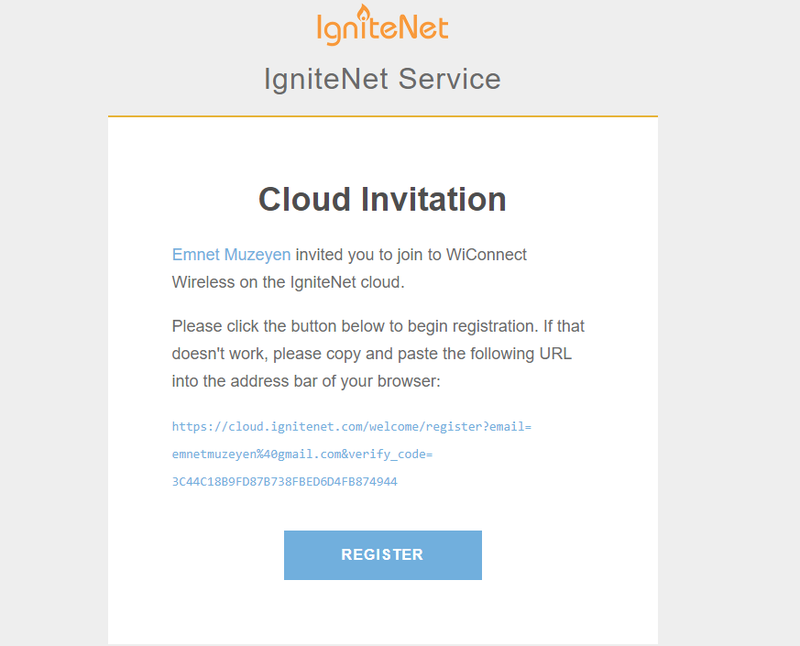 Then Accept your invitation to join WiConnect Wireless and Click Next. You should automatically be directed to your account once clicking next, if you are not automatically logged in. 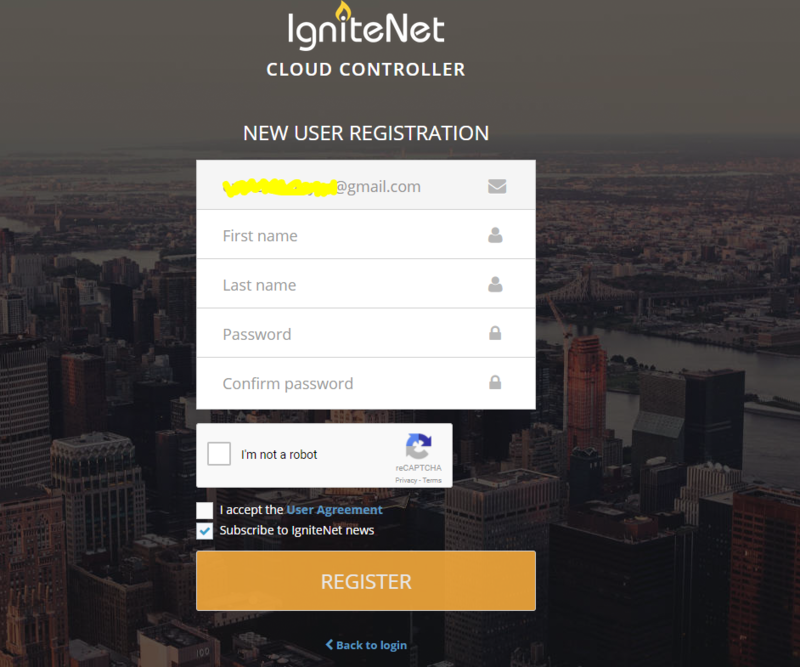 Go directly to: https://cloud.ignitenet.com and use your email and password you used to register. You can also add the website as a favorite in your internet browser or on your desktop for easy access. To see your account and view your settings, click “Choose a Site” on the upper left, then select your name, it will take you to your site dashboard. Click Devices, and select Wireless. Then select your wireless router highlighted by your name in blue. You will now be at your wireless router dashboard. 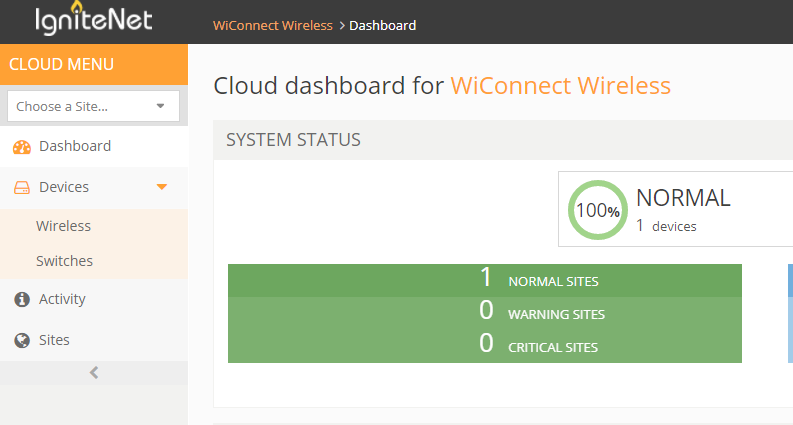 Once you are at your wireless router dashboard you will be able to see all of your connected devices, as well as current throughput and signal levels.